With the annual pilgramage to "that place quite close to Milton Keynes" now almost upon us the FoGAM rankings have been updated on the BHGS website to include all competitions in the preceeding 12 months prior to this year's Roll Call. The historical rivalry between all three points of the UK FoG compass (plus that bit in the middle somewhere) continues, with players from Manchester, Plymouth, Reigate, Portmouth and Oxford contesting the top slots in the 50+ strong UK FoGAM comprtition pool. With an increasing flurry of one-day FoGR events now filling the calendar, the BHGS FoGR rankings have now been updated to include results from all of the competitions held in the last 12 months, and also streamlined to give more prominence to the popular 1-day format events. The new simplified system gives all events equal weighting, and now counts each players best 4 results throughout the preceeding 12 month period. Ben Jones remains top of the pile, with 42 other Renaissance players now breathing down his neck for the other places in the rankings. With March nearly at an end the BHGS ADLG Rankings have been updated to include all of the events taking place in the last 12 months - most recently Bournemouth and the Northern League Round 1 - as we tee up for Roll Call in the coming weeks. Mike Bennett is still perched somewhat precariously on top of the pile, ahead of 190 other UK ADLG players (an increase of 31 in the last 12 months) but with the big-hitting Roll Call and The BHGS Challenge both just around the corner that lead looks awfully slim! The BHGS FOGAM rankings have been updated again, and now include results from the slew of events to take place at the start of the year, including rankings points for those brave souls who made it through the snow on the M5 (and assorted A-roads) to Plymouth for PAW 2019. Britcon, The BHGS Challenge - and news of a brand new team event coming later this autumn as well! With January now almost done, the 2019 historical wargaming calendar is really starting to get into gear. Whilst we can't claim to be quite as ambitious in our planning for the new campaigning season as Alexander was, the team here at BHGS Towers have been hard at work, with both Britcon and The BHGS Challenge now officially open for bookings. This year The BHGS Challenge features tournaments for ADLG, DBMM (both in 15mm & 25mm) as well as FoGAM and MeG in 15mm, and again runs alongside UK Games Expo at the NEC over the weekend of 1-2 June. UKGE also features over 40 other miniatures and boardgame tournaments this year, including X-Wing, Blood Bowl and Star Wars Armada as well as a huge trade show, so there's plenty of opportunity to make this a weekend excursion for your entire club, whatever systems they are currently playing. Britcon returns again to Manchester from 9-11th August, and continues to get bigger and better each year. For 2019 we have already locked-in competitions for ADLG, DBMM, FoGAM, MeG, MeGR, Epic Armageddon, Bolt Action, Sharp Practice and DBA and we hope to be confirming details of our first To The Strongest! and X-Wing events soon as well. Finally we have exciting advance news of a brand new (mostly) team-format event we will be hosting this coming September in North London - the BHGS Historical Events @ The London GT. 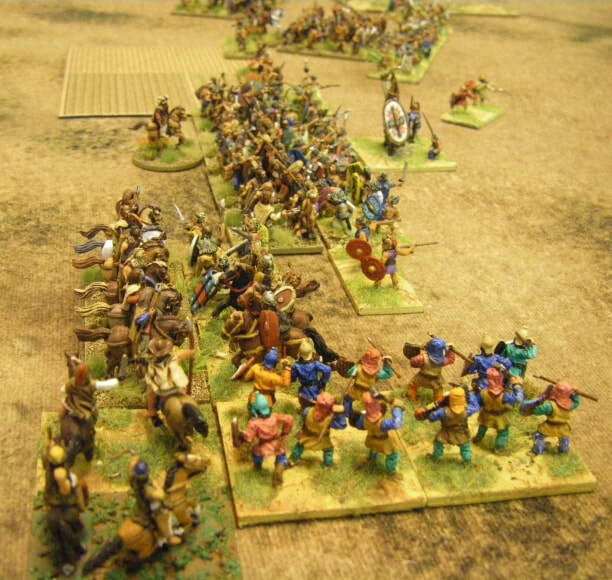 As those of you with interests outside the purely historical may already know the London GT is a large multi-ruleset event which has previously focused exclusively on GW-authored game systems. In 2019 the event expands into a great new venue, which has allowed us to add in some historical events to the LGT gaming roster. The majority of events staged under the BHGS banner will be for multi-player teams, in the process bringing back team-format competitions to their traditional autumn slot on the UK competition calendar. This brand new event will take place over the weekend of 14th and 15th September at the Lee Valley Indoor Athletics Centre, in Edmonton, London N9 - the venue has over 500 free parking spaces on site, with rail connections nearby at Ponders End station, and the Underground to Tottenham Hale. 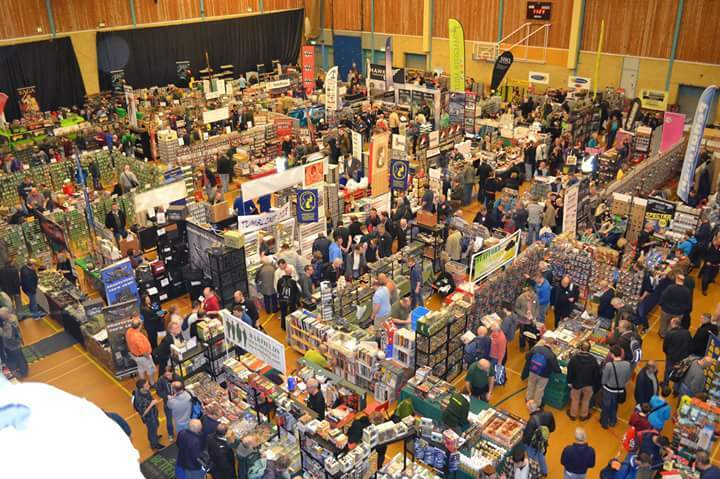 We will be running team events for FoG A/M, L'Art de La Guerre, Mortem et Gloriam, DBMM as well as individual competitions for Bolt Action and To The Strongest!, and the weekend will also play host to the inaugural Saga World Team Championship. 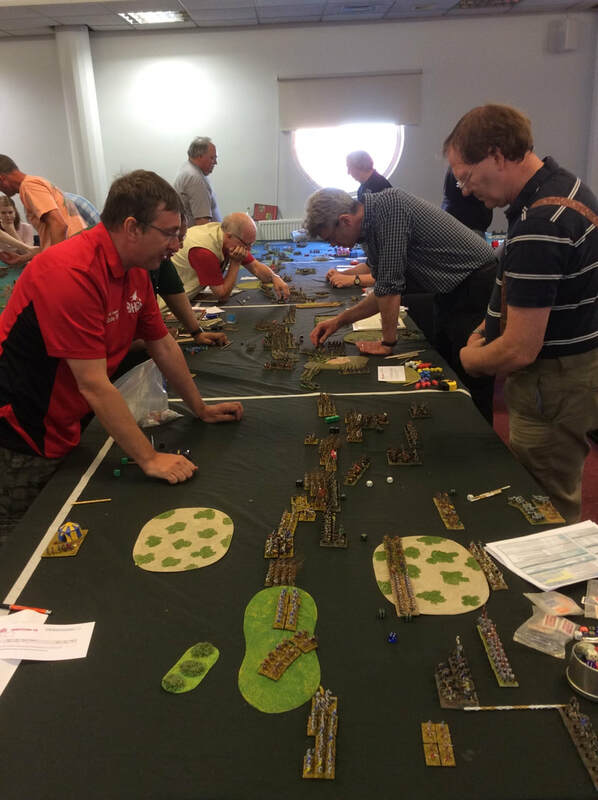 We already have Tournament Packs available to download for many of the competitions on the BHGS website - full details and tickets will be released shortly, however this is another great opportunity to bring the historical and non-historical members of your club or group together for a weekend of gaming action. As well as organising events ourselves, The BHGS website also features a comprehensive calendar of competitions, events and shows for the historical gaming community in the UK, which we endeavour to keep as updated as possible - it can be found online here. If you are running an event or show which is of interest to the UK historical gaming community and would like us to include it on the calendar please get in touch and we'll be happy to do so. We look forward to seeing you across a gaming table - somewhere in the UK - in 2019 ! Godendag in Cardiff is the traditional curtain-raiser to the gaming year for many of our more popular periods and rulesets, and for the first time we're pleased to be able to publish the Runners & Riders list for this 6-ruleset, 100-player event. 2019 sees doubles events taking place for ADLG, DBM and FoGAM, together with singles events for FoGR, MeG and, for the first time at a BHGS-supported event, To The Strongest! which weighs in with a hefty 16 player (+ umpire) field. 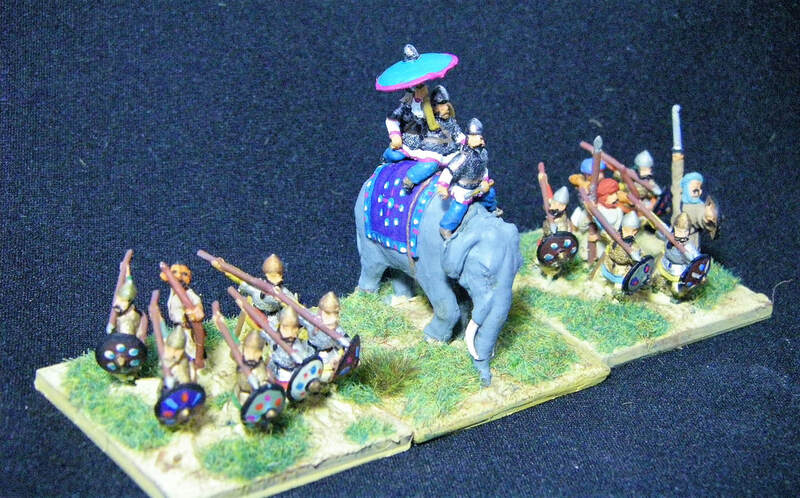 The lists of armies in use will no doubt be published on the various rules-specific forums once the last few laggards get round to submitting corrected lists to the checkers. 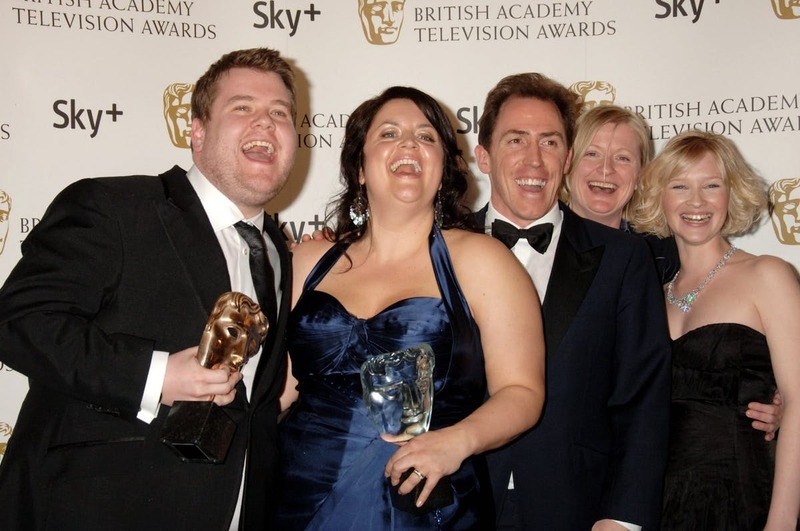 With six different periods being played its also pretty much certain that Cardiff will not have seen so many trophies being bandied around since the heydey of "Gavin & Stacey" - it'll be Proper Lush! now With the Scottish ADLG circuit having just snuck in a cheeky little post-turkey-dinner one day event on the 27th December, the BHGS ADLG rankings have been updated to give a year-end picture of the standings. Despite using a different basis of calculation (best 6 UK events vs international ELO scores), the BHGS UK rankings show the same a "UK top 3" as the ADLG global ranking system this December, with Mike Bennett, Julian Lopez and Hubert Bretagne currently holding the top three UK places across both systems. We're pleased to announce that the Rules Pack and Permitted Rosters for HARD POUNDING - Sharp Practice @ Roll Call 2019 have now been released, and can be found tucked away somewhere in that newfangled and dashed clever "internet" thing as part of the BHGS website's "Roll Call" pages. There will be five games played over Saturday and Sunday, and you will play once on each table against a different opponent from the opposing side. The scenarios will vary from round to round and will be a mix of Missions and Battles. Links to the Mission Packs specific to your chosen side will be circulated or sent out at least two weeks before the event. When you get them, it would be inadvisable to share your version of the scenarios with anyone from the opposing side! Dave Gollop is masterminding this particular dust-up, so please direct any questions you may have regarding the packs or gameplay to him, either directly or via the relevant forum. Best of British* to you all Fine Sirs! The Wargames Association of Reading have kindly supplied us with results from a number of historical periods at this year's Warfare event, which are now published on the BHGS website. Results for ADLG (15mm & 25mm), DBMM (15mm & 25/6mm), and 15mm FoGAM, MeG, and FoGR are now all available to view online. With the results from Warfare already trickling out onto forums and the like, FoGR is first out of the blocks to publish updated UK rankings including the Warfare results.